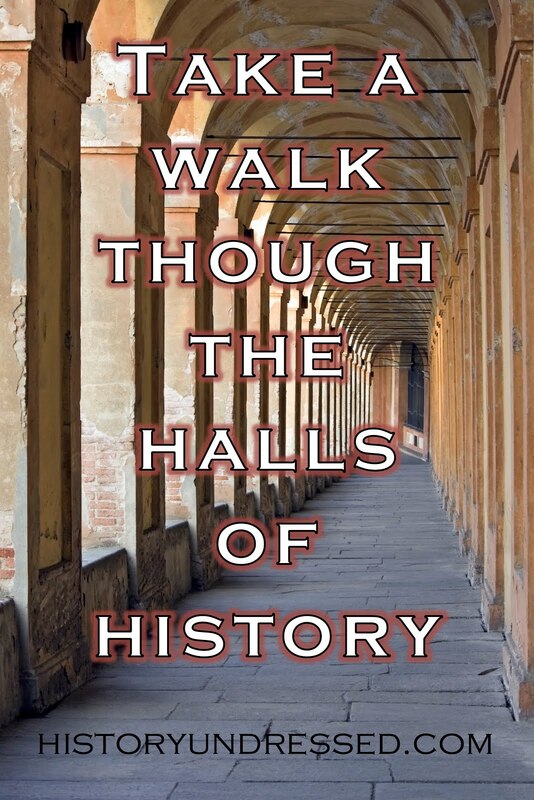 Today on History Undressed, I am super excited to have guest blogger Rebecca Lynn joining us! 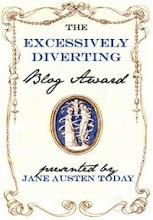 Rebecca has a delcious and lovely blog, Romancing the Palate that I frequent often. So without further ado... I give you her post today on Food History and the Potato. ﻿ Meat and potatoes. Many of Westerners, regardless of social status, find this to be the staple of their diet. In fact, the most common side dish for any kind of meat is some form of starch or potato. Mash them, bake them, slice them, fry them... we like our potatoes basically any way but raw. But food preparation hasn't always been like this. In fact, did you know that potatoes used to be forbidden? As in, oulawed! 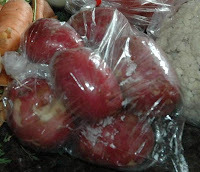 From the introduction of the potato into the Western palate, this starchy veg has gone through a true food revolution. 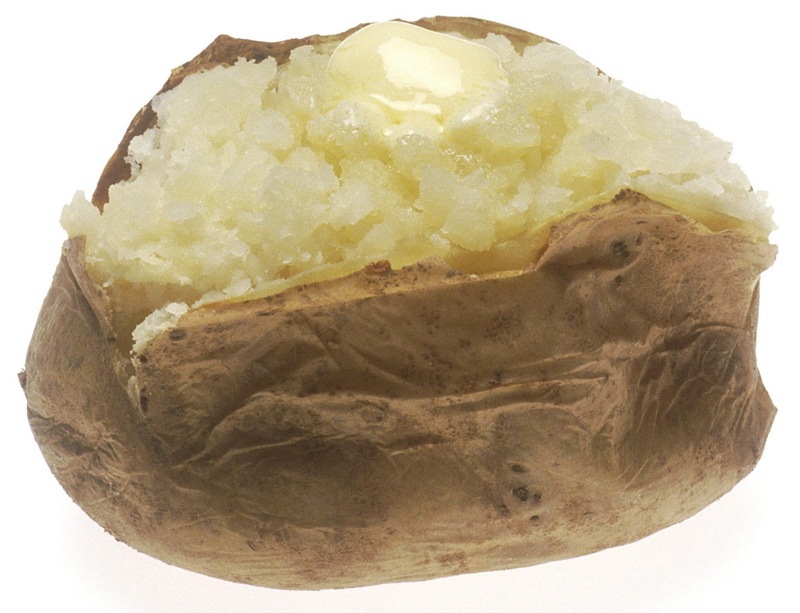 Aside from being closely linked to politics and social movements (like many other foods throughout history--salt, pepper, cinnamon, and sugar, to name a few), the potato was one of the first foods to come under true scientific scrutiny. Thought to be the cause of leprosy in the 16th century, the potato was outlawed for over 100 years in some parts of Western Europe because of its association with this deadly disease. After this belief was finally proven false, the reintroduction of the potato into the culinary atmosphere was so difficult, it required military intervention. Of course, potatoes were later linked to high fertility rates and a cure for diarrhea, among other positive associations. So not all potato-based mythology was negative. 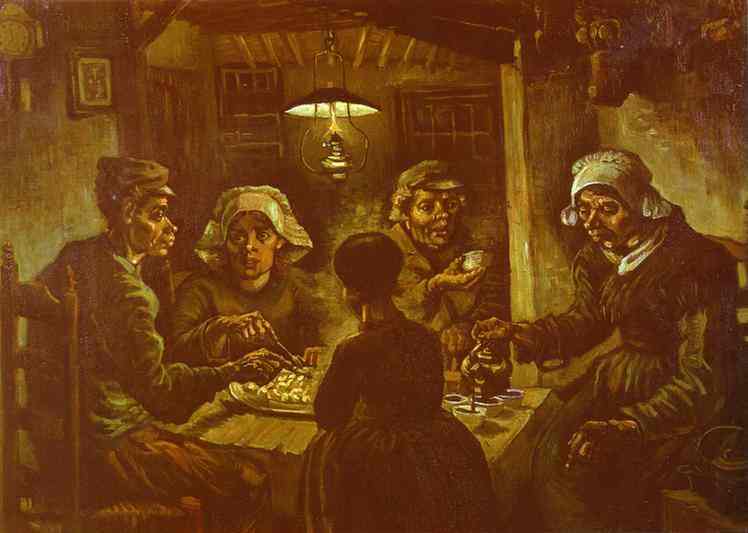 Still, potatoes were generally thought to be peasant food, through most of the Modern period. It was common for food-obsessed aristocrats (especially on the Continent) to look down on restaurants or parties that served potato dishes. In the British Isles in the late 18th and early 19th centuries, the potato became a subsistence crop for the very poor, especially in Ireland. Peasants relied on potato crops to keep their children's bellies full, so much so that when the potato blight happened in Ireland in 1845, over a million people died in the ensuing famine. So now, we come to the obvious question. Why is this important? And as a romance novelist, why is food history important? Food is necessary for humans to exist, and the realness of our culinary environment can place us at a very specific point in history. Like the evolution of the potato--which went from an illegal substance in the early 16th century to a marker of social status in the 19th to a staple across socio-economic barriers in the 21st--what a person eats, prepares, and serves can say a lot about who they are. You've heard the phrase, "you are what you eat"? Well, that's true in more than a health-obsessed way. A 14th-century aristocrat in Scotland would likely not be eating potatoes (although I think you could make an argument for Scotland, of all places, because of its isolation). A 17th-century aristocrat in France certainly would not be eating potatoes. A 19th-century British aristocrat would associate potatoes with peasants. And if they were served at the table of, say, a merchant family, the way a true aristocrat would respond (especially in his own head) would authenticate your historicity. In the same way, the response of the merchant (who was, in essence, bridging the gap between the peasant and the noble) would make him seem more real, as well. Food detail adds authenticity. And, let's face it, food history is FUN! :-) I had a great time researching this post. In fact, I found a great resource or two that you could potentially use. I'll give you one--the one where I got most of my information. It's called Food In History by Reay Tannahill, and it's a phenomenal food history resource. The other, well, you'll just have to take my food writing class to find out about all of my secrets! What's that, you say? When and where am I teaching this illustrious Food Writing class? Well, you're in luck. It starts on Monday. It's called "Romancing the Palate", and you can register here: http://dunesanddreams.org/writing-workshops/2010-november-workshop-b/. If you can't take it this time, I'll be teaching another class in February that will last a full month. Watch my blog (http://romancingthepalate.blogspot.com) for more information on that one. 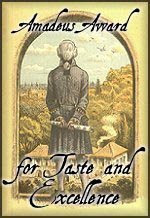 And I have food history tidbits on my blog now and then, in addition to other food writing and foodie romance topics. So stop on by. But mostly, I want to encourage you to use authentic and deep food detail in your books. Why? Because food is common to every human experience, much like love. And the more connected a person feels to your books, the more open they are to the message that romance writers deliver: that everyone deserves to love and be loved. In addition to being a political tool, a pleasure experience, and a necessary part of human existence, food is deeply connected to our ideas of love and loving. So what more perfect marriage could there be than food and romance novels? Rebecca Lynn has two Master's degrees and is very pretentious about it. Or, she's just another writer trying to get published. Only she does have some acumen in literature, history, and leadership, and she tries to use it as much as possible. She also ran her own restaurant for a number of years and has experience in the food industry, in addition to food writing. She believes that behind every good recipe is a good love story, and that food is integral to the experience of true romance. For her, anyway. She considers herself a foodie romance author and teaches food writing workshops online. Hi Rebecca! I headed over here to look at another blog and found yours as well!!! It is a double treat! Do you know that we still advise potato as a dietary measure to slow down diarrhea? It's true... We advise baking or boiling them and then mashing them up with just a little milk but NO butter or other fat. It's a component of the modified BRAT diet that really works. (BRAT stands for bananas, rice, (unsweetened) applesauce and toast--complex carbohydrates that are easily digested. We modify the diet by also advising cooked carrots, (but no other vegetables), boiled or baked potatoes, unbuttered noodles or other pasta, saltine crackers, pretzels (for big people--NOT toddlers), other cereals such as oatmeal, (the 3-minute variety doesn't contain much fiber), and yogurt--4-6 oz. in the morning and the same in the evening. It works and is so much gentler on the body's system as it rids itself of whatever is causing the diarrhea. So you can see that it really is (medically) part of what we regard as a cure for diarrhea! 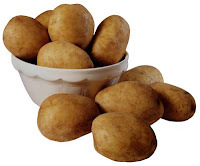 Shakespeare makes an allusion to 'potatoes' as an aphrodisiac 'Let the sky rain potatoes' (Merry Wives of Windsor 5.5.20). Shakespeare was not referring to the potatoes we commonly think of, but rather to Sweet potatoes. The best resource for the role of the potato in world history is 'Propitious Esculent: The Potato in World History', by John Reader. Thanks, Donna. I never would have known that. :-) Just goes to show that sometimes history is right. :-) That reminds me of the fact that someone in CHRW just had surgery, and got leeched. I had no idea that actually worked, but I guess it does in some circumstances. :-) Thanks for stopping by! Thanks, Robur. I've never heard of that book before, but it's definitely one I'll check out if I ever need to research potatoes! You are so right about food, Rebecca. I married into a Syrian family, and boy did I learn about food! My mother fried everything in Crisco and served it with mashed potatoes. Needless to say, I seldom eat potatoes now. One of my crit partners is vegan, and as I do dinner on writing night, I occasionally serve a variety of baked potatoes with assorted toppings and salad, a hearty meal I learned about in Ireland, and quite good. A very enjoyable post! Great post! I learned a lot. I had no idea that potatoes were once outlawed. As medicine, my mom always made potato soup when someone had an upset stomach. Guess Mother really did know best. LOL Thanks for sharing. I love potato soup as a comfort food. In fact, I'm craving some right now. Maybe that'll be my big splurge tomorrow.